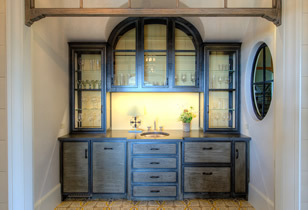 Steelhead Studios works closely with clients, architects and designers to create original architectural features. Having an extensive knowledge of metals and combining metals with different materials Steelhead can offer design support with innovative solutions for any project. 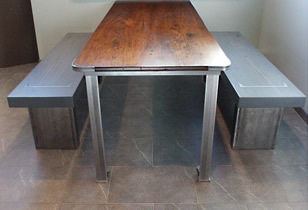 Steelhead Studios specializes in creating custom steel furniture. Steelhead uses a variety of different media with steel. Glass, wood, stone, concrete and reclaimed materials are often incorporated into the furniture to expand the possibilities of form and function. © 2016 - 2019 STEELHEAD STUDIOS - All rights reserved.